Firstly I would like to thank The Audio Session for sending me this sample for review. These have had over 100hrs of burn-in. The Debut Titanium Label comes in the carry case, which is enclosed in a card box. 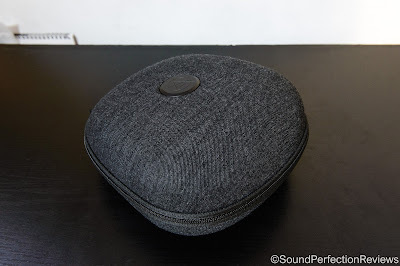 There is no fancy outer packaging; instead they have opted for a cardboard sleeve around the headphone case, listing features and specifications. I like the minimalist approach as the headphone case provides ample protection for the headphones inside. These are quite well built in my opinion, the adjustment sliders are metal, the hinges too. The cups and rest of the build are mainly plastic but feel of good quality, the headband pad is covered in fabric; the earpads are soft and quite plush. The included cables feel fine, nothing particularly special however they are very easy to replace. 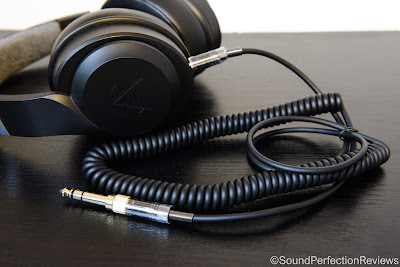 Overall they feel quite sturdy but only time will tell, the cables used are standard 3.5mm to 3.5mm without any proprietary locking mechanism. Accessory wise they come with the hard carry case which is great, 2 cables (1 short with a mic, one longer coiled cable with a screw on adaptor). That is it to be honest, but I don’t think any extra accessories are needed. 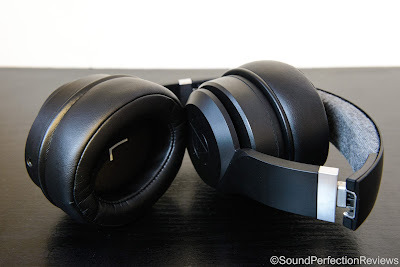 These are not the most comfortable headphones I have used, there are a couple of reasons why. The headband pad is too soft and shallow, next we have the clamping force which is quite strong (stretching out over some books helps a little). 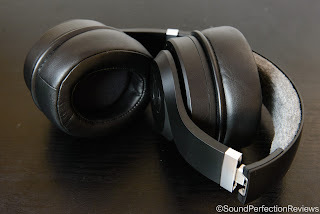 The earpads are deep but compress quite easily, now there is a piece of foam behind the pads, covering the driver and this prevents them being uncomfortable on your ears. The earpads are just the right size for a portable headphone, however these are not sleek and slim headphones, they do look quite big on your head. Isolation is very good on these, they are closed back with minimal venting, this means they block out a lot of outside noise and are perfect for daily commutes. This also means sound does not leak outwards, one issue I have is that the drivers do flex quite badly due to the strong seal these offer. Lows: I find these are a more consumer oriented headphone than a strictly audiophile one, so these lean towards the more fun side of sound. 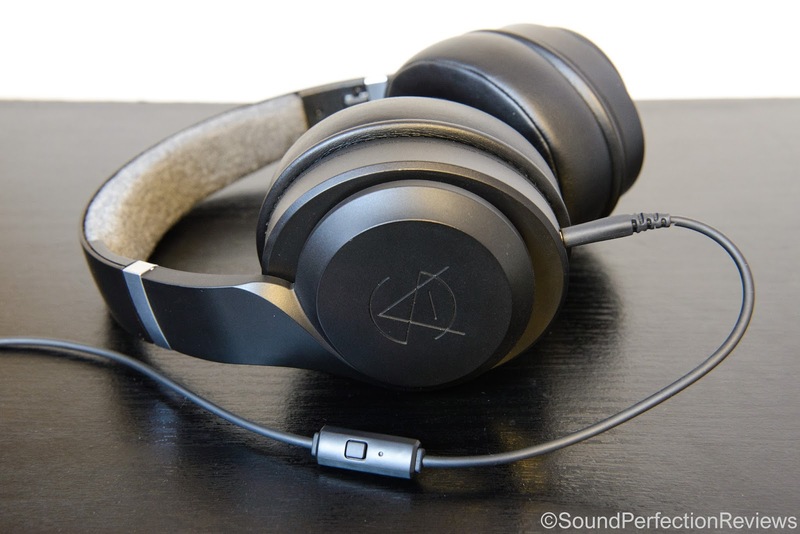 The lows are very present, and take the centre stage in the overall sound signature. The lows are very full and do dominate a little bit, extension is there, punch too. They have a more club like sound to them, the impact is actually very impressive however they do mask the lower midrange. If you want a well balanced sound look elsewhere, if you enjoy a bit of hip-hop and rap, with the odd bit of EDM thrown in these are great fun. Midrange: The mid range does suffer from the rather abundant low end, making vocals sound a little distant and nasal. The whole midrange feels like a veil has been put over it, everything sounds muffled with not a lot of detail shining through. Older, brighter recordings do sound marginally better on these, with better tonality and clearer sound so applying some EQ definitely helps these a lot. Highs: With no EQ applied the highs are dull and lack any presence and air, they are pushed back so far in the mix they are almost inaudible. Really lacking here unfortunately and I cannot really say anything positive about the highs. Tweaks: Now if you remove the foam from behind the drivers, these change a lot and become more balanced with sparkle and air up top. However this negatively affects the comfort level and I went back to using them with the foam installed. These respond very well to EQ, I’m usually not a fan of EQ but if you do a upwards tilted slope in your EQ you can change these to sound quite acceptable, the titanium drivers are quite responsive but the tuning does not allow this to shine through. I highly recommend EQ’ing these if you even think about buying them. Instrument separation and soundstage are both very average, there is a veil over the whole sound, and things sound a little congested. 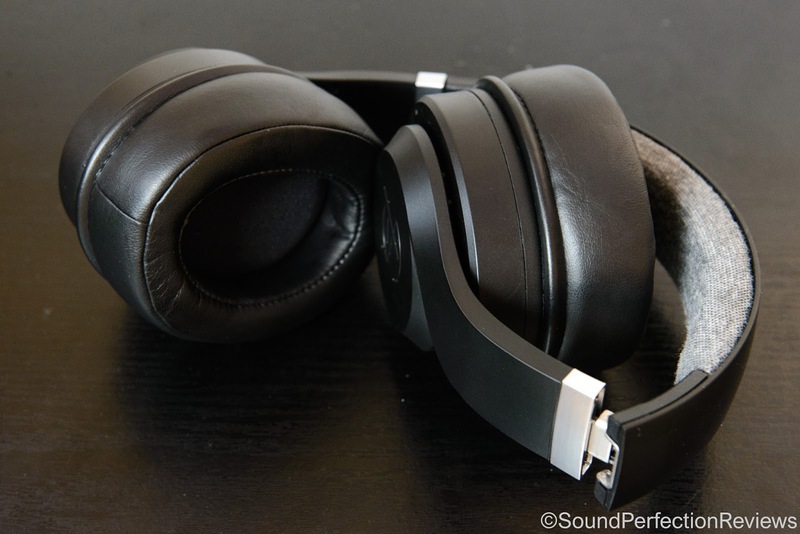 Conclusion: Unfortunately these are a little disappointing in the sound section; they are too dark and lack any air and detail. The lows just dominate and make everything sound veiled, by simply taking out the foam from in front of the driver the sound becomes a lot better but then you are stuck with comfort issues. These respond to EQ very well, and can sound quite good with the right curve, but unfortunately a product that needs EQ’ing this much is not a positive thing in my opinion. It is a shame as the build quality feels good, and the case they come in is great. 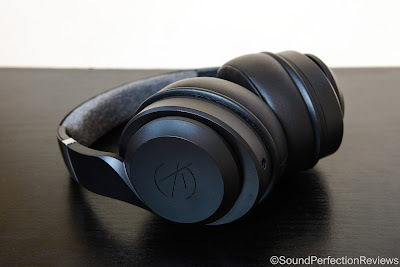 I think they would appeal to some consumers that like the Beats kind of sound and have never heard any better, but for those that crave quality there are better headphones for the price.